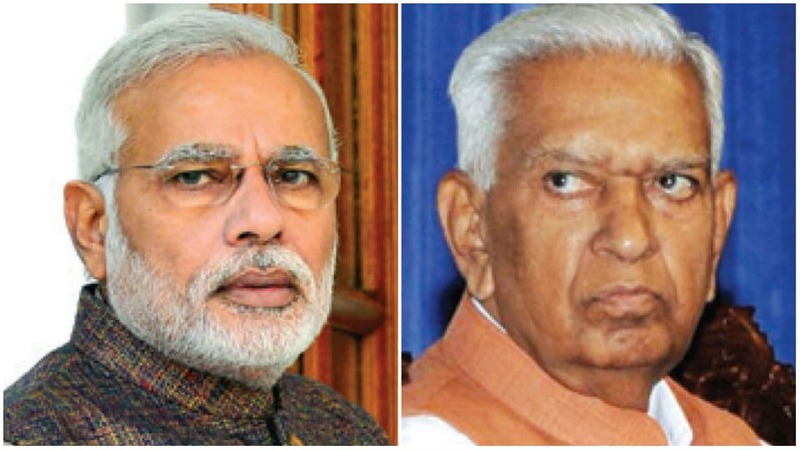 Home » News » Impending Gujarat poll results: Prime Minister Modi alerts Governor Vajubhai to pack up? Bengaluru: Even as the outcome of Gujarat Assembly polls is being keenly watched across the country, reports from the State Capital suggest that Governor Vajubhai Rudabhai Vala, who hails from Gujarat, may return to his home State in a few days, probably by this Sunday. With the counting of ballots of Gujarat Assembly elections to be taken up on Dec.18, Prime Minister Narendra Modi, who himself was the Gujarat Chief Minister before becoming the PM in 2014, the PMO is said to have called Vala over phone and asked him to be ready to return to Gujarat at short notice. The BJP, which had been ruling Gujarat for 22 consecutive years since 1995, is said to be sweating it out this time, as the Opposition Congress helped by the local caste leaders Hardik Patil, Alpesh Thakore and Jignesh Mevani, is posing a tough challenge. With speculations of Vajubhai R. Vala returning to Gujarat gaining credence, the Raj Bhavan authorities are said to have directed the officials to clear all pending files, latest by Dec.16. Accordingly, the officials at Raj Bhavan are working overtime to appropriately clear all files by the end of this week. The BJP Central leadership is said to be considering the name of Vala to the CM’s gaddi, post-Dec.18 poll results and the party will take a decision in this regard, post-Dec.18 political scenario in Gujarat, which has 182 Assembly seats, it is learnt. Meanwhile, the second and last phase of polling in Gujarat is scheduled for Dec. 14. In all, 93 Constituencies will go to polls on Dec.14 w1hile 89 Constituencies underwent polling in the first phase that took place on Dec. 9. The final voter turnout in the first phase of Gujarat elections stands at 66.75 percent, according to the Election Commission.